When you first contact my office about an Occupational Driver’s License, we will send you an intake form to fill out. The form contains questions relating to your personal information and driver’s license suspension circumstances. We can email you the form, fax it to you or you can come into our office to fill it out in person. The form only takes a few minutes for you to fill out. If you have any questions about it, feel free to contact us. You will need your driver’s license number (even if it is currently suspended or otherwise ineligible). If we email or fax you the form, print it out and fill it in at your convenience. Then scan and email or fax it back to us. We will use the information on the form to draft a Petition for an Occupational Driver’s License. 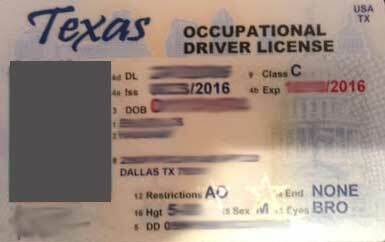 This is what the permanent, plastic Texas Occupational Driver’s License looks like. We will also send you an invoice to pay our fee for the preparation and filing of the Petition. You will need to pay the invoice before we prepare the Petition for you. You can pay the fee in cash or by credit card in person in our office or by using a credit card on an invoice that we can email to you. Once the invoice is paid and you have returned the form to us, we will begin to draft the Petition for an Occupational Driver’s License using the information that you submitted to us on our ODL intake form. The Petition is a document that asks the court to grant you an Occupational Driver’s License. You will have a chance to review this petition before we submit it to the court. Once the invoice is paid and you return the form to us, we can draft the Petition in as little as 3-6 hours if you need expedited service. Once the Petition for an Occupational Driver’s License is drafted, we will send you a copy via email or fax or else you can pick up from our office. You will need to carefully review the Petition to make sure that everything is accurate. 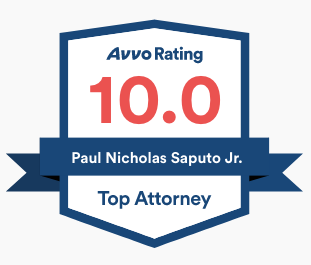 Once you have reviewed it for accuracy, take it to a notary (banks usually provide free notary service) and sign it where indicated in front of a notary. Have the notary stamp it and bring me back the original. You can bring it to me in person or mail it back to me. I need the original copy of the notarized Petition. If your license has been suspended pursuant to a DWI conviction, then under the new Occupational Driver’s License laws, you will be required to have installed an ignition interlock device on your car. You will need to provide me with evidence of this installation in the form of an installation receipt from the company that performed the install. The final thing I need before I can submit your Petition for an Occupational Driver’s License is payment of the county’s fees. Counties typically charge between $220 and $250 in fees. The basic Dallas County filing fee for an ODL petition is $232. However, if you need to file it in District Court (because of a Felony DWI charge), the filing fee is more. In addition, certain counties require electronic filing of the ODL Petition, and there are additional fees for that (normally less than $10). You will need to get me either cash or a money order for payment of these county fees. Otherwise, you will have to pay the credit card processing fee. Once I have everything I need to file the Petition for an Occupational Driver’s License, I will submit everything to the appropriate court. Some courts (Dallas County, for instance) allow me to go to court and get everything done in the same day. Other counties require me to e-file, request a hearing and other procedures that make the process take longer. 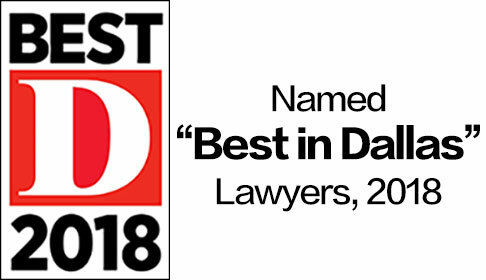 If you need expedited service, I can generally obtain an ODL in Dallas County within 24 hours (of a business day) or even quicker as soon as you get all the required documents and payments described in Step 2 to me. Tarrant County, Denton County and Collin County always take longer. Other counties vary. Once I obtain the Order for your Occupational Driver’s License, you will need to mail that in along with several other documents to DPS. I will get you everything that you need to mail in. You will also have to pay a driver’s license reinstatement fee, normally $125, to DPS. I will provide you with detailed instructions in an email. If your ODL is through Dallas County, you can pick up the Order from my office at your convenience. If the ODL is through another county, you can usually pick up the order from that County’s Clerk of Court. You will need to ask for two certified copies, and they will charge you a small fee. I can also get the orders for you and send them to you (or you can pick them up from my office) if you so request. You will need to send one copy of the Order to DPS, but you will keep another copy on you while you are driving. This copy will serve as your temporary occupational driver’s license, and will be valid for 30 days while you wait for DPS to mail you a plastic Occupational Driver’s License.